There is nothing quite like the feeling that plants bring to a space. Whether that space is an office or a living room, plants provide warmth and texture and soften even the coldest environment. The use of plants in a vertical space is growing rapidly in popularity throughout Australia, however, achieving a living greenwall can be extremely difficult. Real, living green walls require intense levels of maintenance. It is an around-the-clock effort to protect and prevent against disease and to ensure that they’re watered and fertilised adequately. Having both a stylish and living green wall is often unattainable to the masses. There is no reason why you shouldn’t be able to achieve the same level of style and sophistication with a low maintenance option. Love It Landscaping has been working tirelessly to bring you a smart solution to the living green wall. Introducing our high-quality, artificial green-walls; bringing you a low maintenance, life-like solution - without the hassle and upkeep. People can spend many thousands of dollars achieving a living green wall only to have it tragically fail. Our green walls are some of the best in the industry. 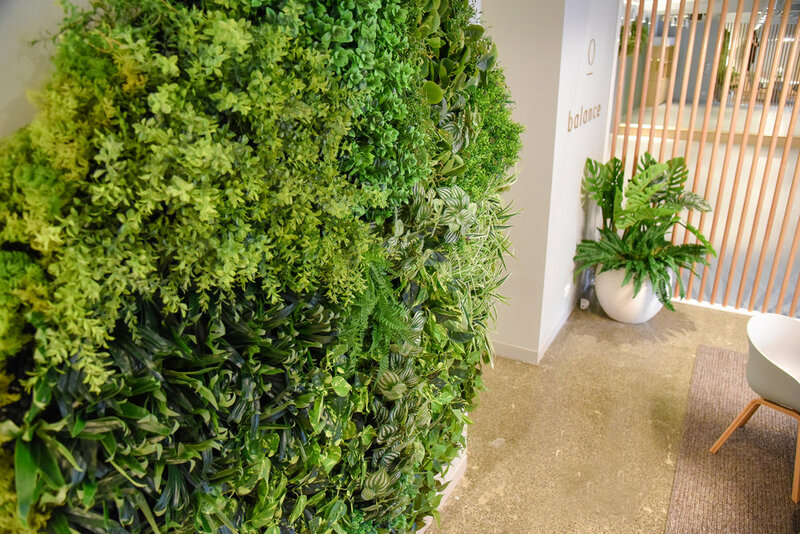 Made from high-quality UV protected product to bring life and texture to your space, our green walls are highly customisable and provide a stunning focal point. When it comes to designing your green-wall, available area is no limitation. Big or small, each green-wall is custom created to fit your space. Everything from the plant variety to the framing is customisable, providing you endless options to create that work of art, perfectly designed to fit within your home, office or outdoor room. Our green-walls can be used both indoors and out and have over a 10 year lifespan, free from from fading and cracks. With such high flexibility, creating a maintenance free, lush green-wall has never been easier. Our Greenwalls will be available for purchase at the beginning of May! Watch this space for more information.